The Bronx Documentary Center has a state-of-the art private black-and-white darkroom and Hasselblad X5 scanner available for rent. 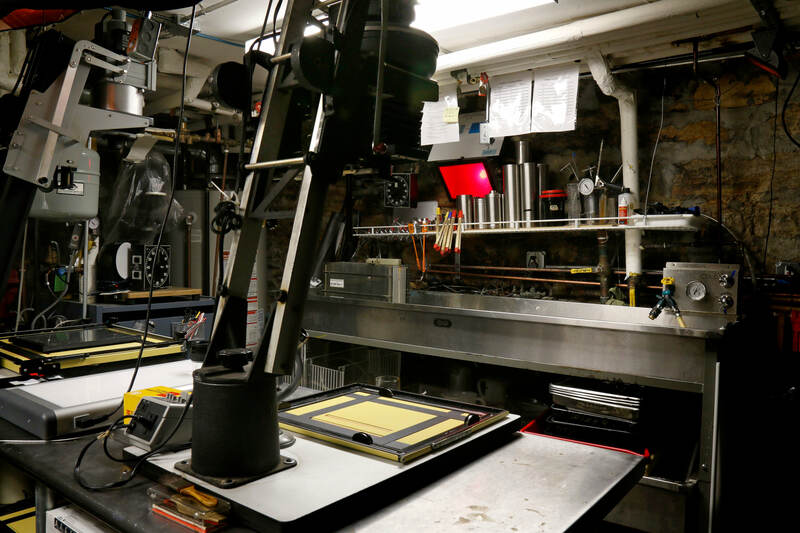 The Bronx Documentary Center has a state-of-the art private black-and-white darkroom available for rent. It is equipped with the enlargers from Omega and Durst and Leitz, outfitted with Schneider Componon S or Leitz lenses. Coldlight and condenser heads are available. We have film-developing tanks from 35mm up to 5x7 inches. Our enlargers can print negatives from 35mm up to 5x7 inches (Durst 138). We don’t offer classes at this time, but we can set you up with an enlarger right for your printing style. Please email info@bronxdoc.org for scheduling. Construction of the BDC's black and white darkroom was generously funded by a grant from Phillip and Edith Leonian Foundation.